Suitable for use with Rave 600W Snow Machine. 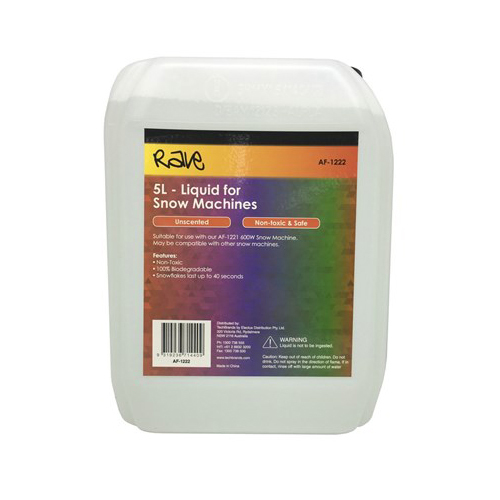 May be compatible with other snow machines. Warning: Liquid is not to be ingested. Keep out of reach of children.